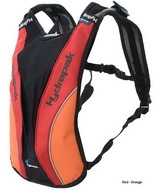 Hydrapak was launched in 1996, Hydrapak was introduced to satisfy the growing demand from cyclists for personal hydration systems. Relying on input from professional athletes and feedback from a large staff of avid cyclists and product testers, the Hydrapak line was continuously refined to ensure the products met buyers' hydration needs. By 2001 this strategy had paid off, Hydrapak had become one of the leading providers of personal hydration systems. In October 2001, Matt Lyon purchased Hydrapak after a major reorganization of its original owner. A passionate cyclist with extensive management and product development experience, Lyon has most recently worked with Marin Mountain Bikes and Atlas Snowshoe Company. The newly formed company, Hydrapak, is focused on creating the best personal hydration systems available for any activity where hands-free fluid delivery is needed. Hydrapak LLC. is based in Oakland, California. Performance series, Lightweight and low profile for hard rides in hot weather, Performance Series packs are designed to combine load carrying stability with generous reservoirs and wicking fabrics or venting features to keep you cool. 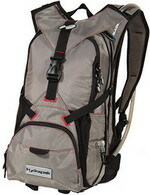 Vanguard series, Designed for big rides, big air and big gulps, the Vanguard Series packs are multi-sport water and cargo haulers you can customize for your ride. 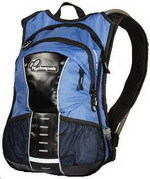 Vanguards incorporate drink tube routing options, starps that work with pads and chest protectors, specialized pockets and ports for MP3 players and other gear, even options for pad, chest protector and helmet carrying systems.